Why is it that the “little” accomplishments in our lives get short shrift? The big accomplishments like getting married, graduating college or graduate school, finally getting that perfect job, and countless others, receive the huge accolades, high fives and atta girls. But, we forget about the blood, sweat, and tears, those little moments, without which, those memorable accomplishments would not, could not, have happened. 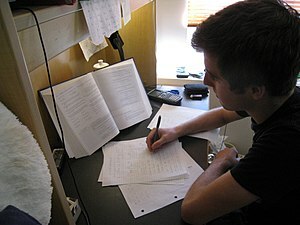 I am talking about the myriad relationship issues that are the precursor to any marriage, the determination, effort and dedication required to get the grades sufficient both to graduate college and for law school enrollment, and garnering scores high enough on graduate exams to qualify one for entrance and admission to graduate school. I could go on but I think that you get the point. No so called “big” accomplishment happens in a vacuum. There are numerous seemingly inconsequential or cumbersome tasks that are essential to the making of all big accomplishments. They go unnoticed but deserve acknowledgment, and short of accolades, silent thanks, for where would we be without them.